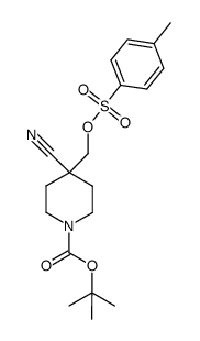 Tert-Butyl2,7-diazaspiro[3.5]nonane-7-carboxylate hydrochloride, its pharmaceutically acceptable salt, ester, solvate thereof , are useful in the treatment of diseases in which inhibition of a protein or lipid kinase (e.g. a PIM family kinase, such as PIM-1, PIM-2 and/or PIM-3) is desired and/or required, and particularly in the treatment of cancer or a proliferative disease. Its chemical names that tert-butyl 2,7-diazaspiro[3.5]nonane-7-carboxylate hydrochloride, tert-butyl-2,7-diazaspiro[3,5]nonane-7-carboxylate hydrochloride, tert-butyl 2,7-diazaspiro[3.5]nonan-7-carboxylate hydrochloride, tert-butyl 2,7-diazaspiro[3.5]nonane-7-carboxylate, 2,7-diaza-spiro[3.5]nonane-7-carboxylic acid tert-butyl ester hydrochloride. w Wear protective gloves and eye/face protection. Piperidine compounds acceptable salts and solvates thereof in the pharmaceutically, are especially useful for treating cancer. Are you looking for a place to purchase large quantities of tert-Butyl 2,7-diazaspiro[3.5]nonane-7-carboxylate hydrochloride (1023301-84-9)? You need not worry anymore because we have the expertise and vast knowledge in synthesizing and manufacturing large quantities of the product. Our products are all produced under the dictates of manufacturing regulations of CGMP. Tert-Butyl 2,7-diazaspiro[3.5]nonane-7-carboxylate hydrochloride is pharmaceutically accepted ester, solvate, salt which are useful in treating diseases which require inhibition of a lipid kinase or a protein (for instance a kinase of the PIM family such as PIM-3, PIM-2or PIM-1) add particularly in treating proliferative disease or cancer. This product is in the category of spiral compounds. Tert-Butyl 2,7-diazaspiro[3.5]nonane-7-carboxylate hydrochlorideappears as a white powder. Tert-Butyl 2,7-diazaspiro[3.5]nonane-7-carboxylate hydrochloride computed properties. Tert-butyl 2,7-diazaspiro[3.5]nonane-7-carboxylatehydrochloride may cause harmful effects to your health if it is inappropriately handled. You should, therefore, treat it with care and follow all the safety instructions available. The compound is allergic to the skin and may cause irritating reactions. 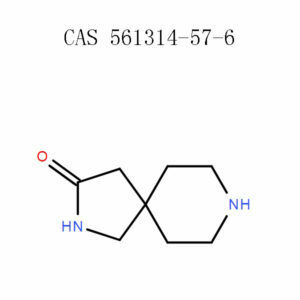 Tert-butyl 2,7-diazaspiro[3.5]nonane-7-carboxylate hydrochloride is an eye irritant. The product should not be swallowed because it may be toxic. To ensure that you do not expose your health to the hazards associated with this product, always follow the following safety measures for personal protection when handling the product. Always cover your skin with protective clothing. Protect your hand s by use of well-inspected gloves. Ensure you have face shield to cover your face. Under normal conditions, respiratory protection may not be necessary. However, avoid inhaling gas, dust, fumes, mist, spray or vapors from the compound. The product should be handled outdoors or in a well-ventilated laboratory. In case of emergencies occurring during handling of Tert-butyl 2,7-diazaspiro[3.5]nonane-7-carboxylatehydrochloride, administer the following first aid measures before seeking medical attention. If someone inhales the product, transfer them to a place with access to fresh air. Let the victim rest in a position they can relax and breathe comfortably. If swallowed, wash the mouth with plenty of clean cold water. Seek advice from a medic if the symptoms persist. Remove the particles from the skin surface. Rinse the affected spot with plenty of running water and mild soap for about 15 minutes. Seek advice from a medic if corrosion prolongs. Tert-butyl 2,7-diazaspiro[3.5]nonane-7-carboxylate hydrochloride handling measures. Do not use the product until you read and understand the instructions. Avoid the formation of dust or fumes when handling this product. Ensure the room you are working in is well-ventilated. Work in a chemical fume chamber. Do not work with this product during pregnancy. Do not release the product into the environment. Remove the contaminated clothing and launder them before reusing. Remove the gloves cautiously without touching the contaminated side. Ventilate and clean the working bench. Wash your hands and the face thoroughly with plenty of cold water. Dispose of the cloves, wastes and empty containers as per the waste disposal requirements of the federal or the local laws. Store the product in a well-corked container. Do not expose the product to direct sunlight or heat surfaces. Keep the product in a well-ventilated area. Tert-butyl 2,7-diazaspiro[3.5]nonane-7-carboxylate hydrochloride is not compatible with strong oxidizing agents. The product is stable in normal conditions. If the product, secondary products or mixture of the product with other products spills accidentally, pick up the spillages carefully avoiding to create dust. Sweep up and shovel the spillage, pack the waste in waste containers and arrange for disposal. Tightly close the disposal containers. Dispose of all the waste products resulting from usage of Tert-butyl 2,7-diazaspiro[3.5]nonane-7-carboxylatehydrochloride as per the federal and local regulations governing waste disposal. Package the wastes and handle them to an authorized waste disposal company. The product has not been classified as hazardous to transport by any means that, is water, air land transport. Tert-butyl 2,7-diazaspiro[3.5]nonane-7-carboxylate;hydrochloride is a product listed for purposes of research and development. It is therefore not suitable for human or animal use. We have not entirely determined the toxicological, physiochemical and ecological properties of the product. As such, great care and respect should be practiced while conducting research, development or product synthesis using this product. Qualified personnel with experience in chemical laboratory practices should only handle it. It should also be treated under suitable conditions. The responsible persons shall make use of this safety data in combination with information from other reliable sources. At APICMO, we have a team of qualified experts who are committed in the research and development in life science, chemical science, analytical science, chromatography among others. 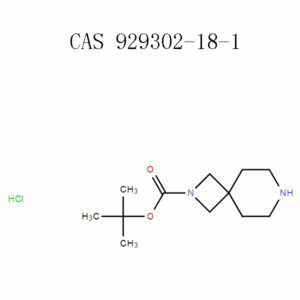 Tert-butyl 2,7-diazaspiro[3.5]nonane-7-carboxylate;hydrochloride (1023301-84-9) pricing and bulk ordering. 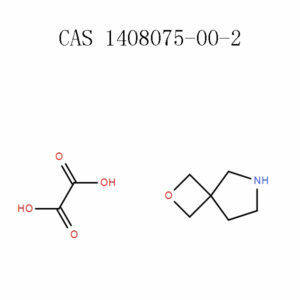 Do you need large quantities of Tert-butyl 2,7-diazaspiro[3.5]nonane-7-carboxylate;hydrochloride for your product synthesis, research, and development? You can contact our friendly customer care department and make your orders. 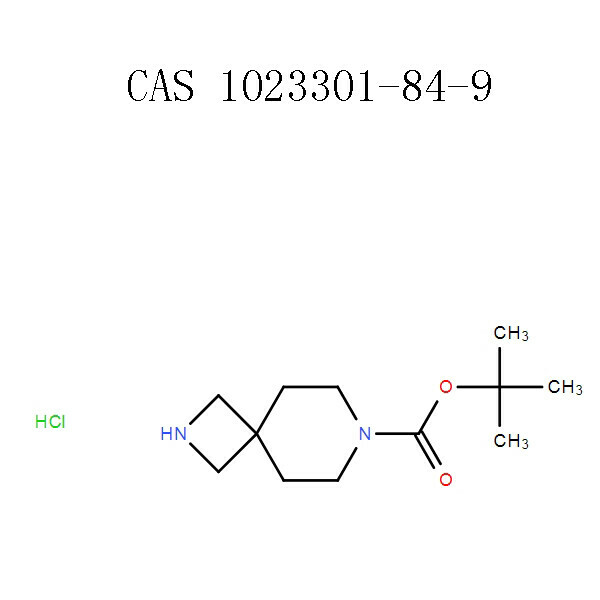 National Centre for Biotechnology Information, U.S. National Library of Medicine, Pubchem, Tert-butyl 2,7-diazaspiro[3.5]nonane-7-carboxylate;hydrochloride, Sections 1-9.